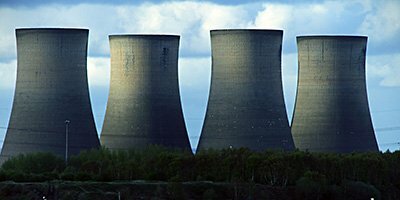 Exelon Corp. Automates the Production of Metrics for its Fleet, Saving Millions | Knowledge Relay Inc.
As one of the country’s premier power providers, Exelon recognized the need to standardize the systems and methodologies of its entire fleet, including 14 nuclear plants and many fossil facilities. They fully automated the data movement and production of metrics, creating efficiencies that have saved the company, and its customers, millions. …tends to stay in motion. But just as inertia tends to cause large entities to continue operating in the same, familiar ways, it can also cause them to spin out of control. Large enterprises run the risk of becoming so big that the systems and methods deployed for smaller, individual units are no longer adequate to efficiently manage operations. That is the situation the Exelon Corporation, one of the Energy industry’s largest providers found itself in as it built and acquired new generating assets. Management realized that extraordinary efficiencies of scale could be achieved through standardization and automation. Exelon Corporation is an energy company headquartered in Chicago, Illinois. It generates revenues of approximately $31.4 billion and employs approximately 34,000 people. It is the largest electric holding company in the United States by revenue, the largest regulated utility in the United States with approximately 10 million customers, and is also the largest operator of nuclear power plants in the United States. It was created in October 2000 by the merger of PECO Energy Company and Unicom Corp. and has grown organically as well as through acquisition. In March 2012, Exelon merged with Constellation Energy Group, and later acquired Pepco Holdings in March 2016. (Source: Wikipedia and Exelon Corp. website.) Clearly, operating such a large enterprise would require new ways of thinking. Exelon is well known in the industry for its focus on efficiency while maintaining a culture of safety. Although sometimes counter-intuitive, efficiency gains often begin with taking the time for a thorough business analysis. All systems must be reviewed and considered not only for their effectiveness but also how well they align with corporate goals and standards. During the analysis phase, the company discovered that, while there were many similarities between plants in terms of tools and methods, true standardization had not been achieved. It was also realized that, if the company would invest in greater standardization, they could achieve a level of automation that had the potential to dramatically reduce costs. The decision to standardize and automate became an easy one to justify. Along with all of the operational requirements, such as “who needs what, and when,” the company realized that the reason standardization initiatives fail more often than not is because no single person is truly empowered to enforce the standards. As a remedy to this problem, Exelon chose a strong leader, Mark Utz. Mark knew how difficult it would be to “turn the battleship;” culture changes are not easy, especially with experienced team members who had already been successfully running their plants for years. Team meetings were organized, project plans were developed, and work was begun. Throughout the process, various project managers were careful to demand accountability and follow budgets. Multiple vendors with unique skill sets were brought in to map, cleanse and move data using repeatable processes. A Data Depot was created as a staging area to support various types of data moves, as well as reports and dashboards of various types. Care was taken to match reporting formats from various older systems to ensure that they worked well with the new system(s). But the “piece de resistance” was yet to come. Collecting, staging, and aggregating data can be quite time consuming, even when reducing data pulls to only what is absolutely necessary. Exelon’s data load required processing of millions of records for each region at least twice daily. The system would need to be extraordinarily trustworthy as well. After all, there would simply not be sufficient time to validate all data points each time they were processed. Having had a long-standing relationship, Exelon reached out to Knowledge Relay to help. After using other tools to exchange data between Oracle’s P6 product and other cost/plant management systems, Knowledge Relay’s Data Integration Scheduler™ (DIS) tool was used to extract, transform, and stage data in Exelon’s data depot for use by other systems, specifically reporting and dashboarding tools. 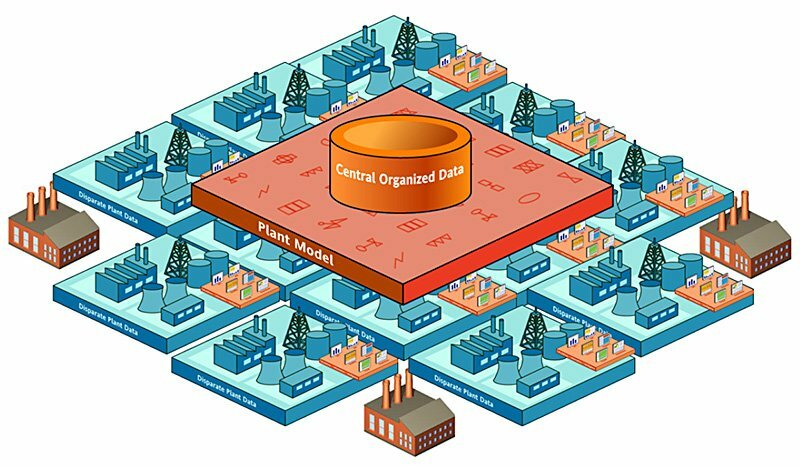 DIS schedules data moves from the source systems and distributes them out to multiple servers for rapid parallel processing. Each processor extracts the relevant data points, performs various calculations and reformatting tasks, and replenishes, not replaces, the data in the data depot. This is important because a history is maintained. With historical data, not only can reports from earlier periods be reproduced at any time, trends can be analyzed to help spot areas for improvement (as well as meet regulatory requirements). This level of automation and historical record keeping has proven to be extremely valuable to the company. Of course, the automated movement of data is important but the job of automation does not end there. Maintaining data for the sake of having it is not extremely valuable. It has to be transformed into useful information. This is where metrics and reporting come into play. Considering the multiple plants in each Exelon region, it is easy to see that hundreds of metrics/reports need to be generated on a daily, if not twice-daily basis, for each power generation unit. And these reports are not simple to create or generate. Many have very unique characteristics, like multi-cell tables in Gantt charts, hourly schedules, and specific histogram/work-off curves that meet regulatory requirements. The production of these reports would typically take a staff of full-time workers to generate (and re-generate), wasting the valuable time of skilled staff. This, too, would have to be automated. Again, Exelon would team with the Knowledge Relay staff to help build and stage the needed reports, and to automate their production and distribution. 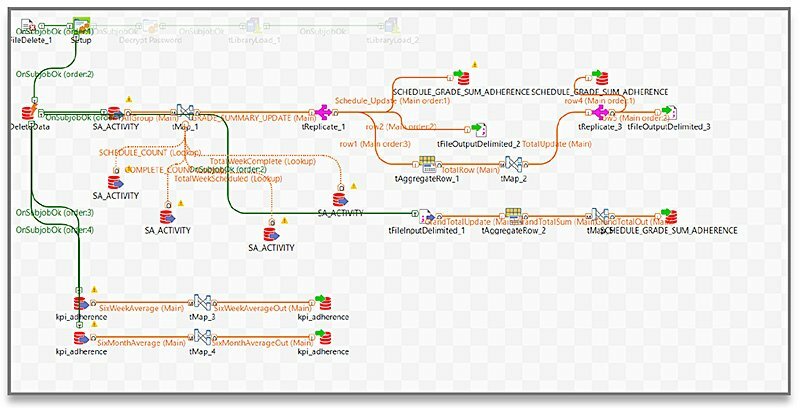 Knowledge Relay’s Information Visualizer™ v3 (IV3) product was deployed to schedule, process, and disseminate needed reports automatically. Similar in functionality to KR’s DIS product, IV3’s Job Scheduler processes report packages at the server level, in a distributed fashion, either on a regular schedule or ad hoc. No human intervention is required. The data is always being refreshed in the background—automatically—and the reports just run when they are supposed to. Pre-designated stake-holding users just receive an email letting them know that their new reports are completed. The report formats are consistent, regardless of which source data was used. Not only does management, all the way up the chain, get a consistent view of all plant operations, if staff moves between plants, they do not need to be retrained. This has saved the company millions of dollars and created efficiencies so badly needed in the power industry. The hallmark of a great system is its ability to continuously improve and perform reliably over time. At first blush, this may seem like a simple value proposition, but it extends beyond a simple fulfillment of requirements. Flexibility and extensibility are just as important as reliability when it comes to value. The system has to be able to adapt to changes in staff, technology, and new requirements—even as the workload increases. The data-source-neutral, and display-tool-agnostic, design of the system deployed by Exelon has allowed them to add power plants without redesign. And as new things are learned about data and regulatory requirements, the architecture of the system allows it to adapt quickly, without disruption to other systems of record. Domain expertise, including knowledge of source and destination systems, is vital, especially when creating a Requirements Document. This helps the system itself absorb a lot of the complexity, leaving the Exelon Staff free to invent and create. A relationship of trust between team members is vital. Risk is substantially reduced when human error is removed from the system. Conversely, data integrity is increased. Most of the long-term savings come from real AUTOMATION of both data migration and report generation. The more users have to interact with the system to retrieve useful information, the less efficient it is. An executive sponsor, empowered to enforce standards, and a strong Project Manager can make all the difference. It’s important to have someone who consistently pushes toward the finishing line, making sure the project stays on schedule and budget. Regular coordination meetings between all team members, whether in person or over the phone, is important to overall project success. The company had a portfolio of multiple plants, and had acquired several others. Each entity had its own method of moving data and creating metrics. Preferred systems were being replaced but the company needed to ensure that their effective report formats were maintained and that the data was reliable. Exelon also realized early on that there was a need to standardize and automate the processes that create hundreds of reports/metrics every day at each plant. Knowledge Relay worked directly with Exelon Corp. to fully map the requirements and align the data from disparate systems into a comprehensive “Data Depot.” On a twice-daily basis, data is extracted and staged for use by various tools. All data migration and report production is accomplished automatically, either on a schedule or ad hoc. Hundreds of reports/metrics are produced daily, requiring almost no human intervention. 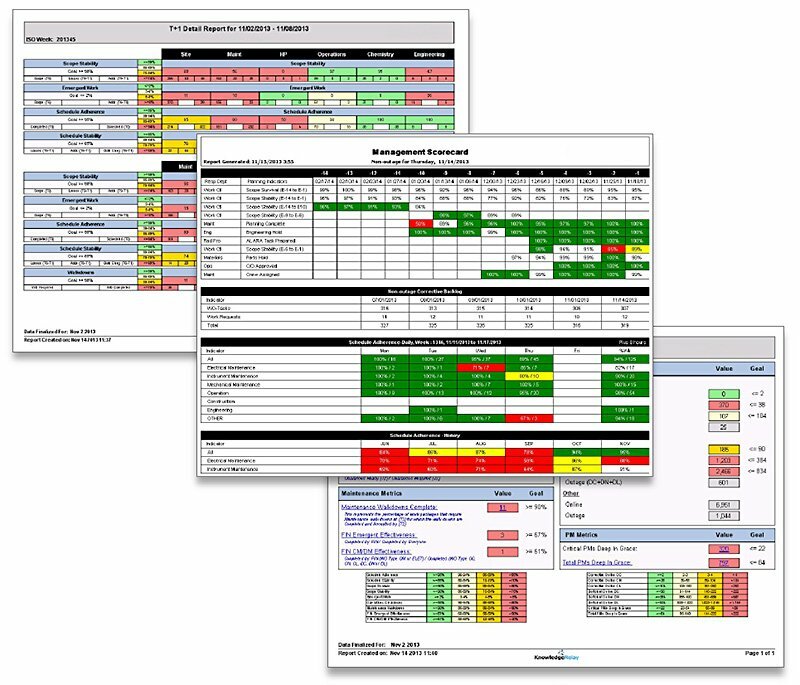 Metrics combine data from multiple systems, even multiple plants, on the same reports. Far less time is used for moving data and creating reports. Staff can move from plant to plant without the need to re-train. The automation feature delivers consistent, up-to-date information, shaving days from outages. The data is consistent and reliable for ALL plants. The company is the efficiency leader in the industry segment, passing on savings to its millions of customers each year. Oracle and P6 are trademarks of Oracle Corp. Talend is a trademark of Talend Corp. Information Visualizer, IV3, DIS, and DDAU are trademarks of Knowledge Relay, Inc.
Information about Exelon Corporation (NYSE: EXC) can be found at www.exeloncorp.com. Information about Knowledge Relay can be found at www.knowledgerelay.com.